My collection at the beginning of February 2016. Field Nuts might notice the missing Sweet Tooth edition. Don't worry, guys, you can see those in the other photos below. The notebooks that this post is about are made in the tradition of the old feed and seed promotional notebooks that would come free with catalogues. I remember seeing these around as a kid and it’s amazing it took me so long to fall in love with these notebooks considering my love for all things agrarian. People who know me know that I have a love-hate relationship with collecting. My parents are hoarders and I struggle with the same temptation—there’s just something about mountain culture that lauds piles of junk of relative uselessness and calls it collecting. Hence, I usually try not to collect things and when I find myself owning a lot, I start to get guilty and anxious and purge everything (sometimes throwing away items I wish I hadn’t). 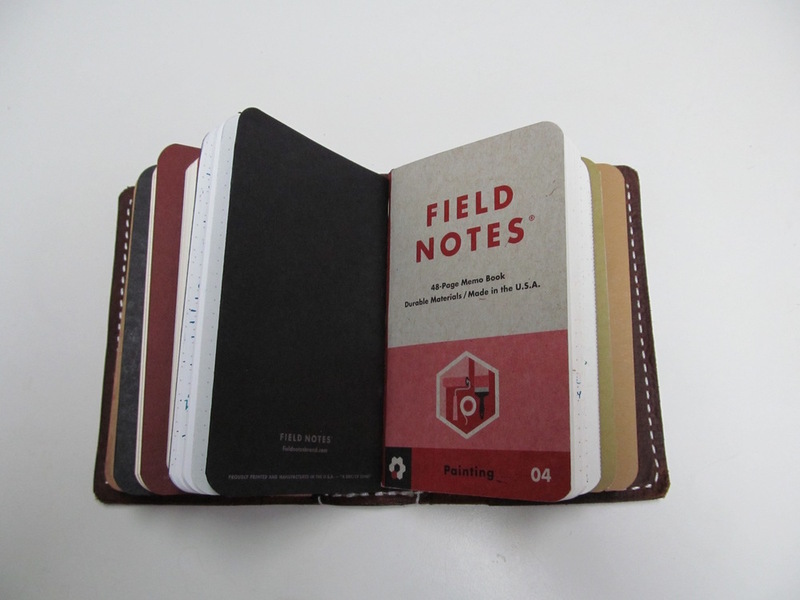 When I first started listening to The Pen Addict Podcast, I heard a lot about these notebooks called Field Notes. They seemed a little silly to me at first. I thought that keeping everything in a tiny little 3x5 (roughly) notebook was just ridiculous. It didn’t seem like something that would work for me. I was also turned off by the collecting mentality of the Field Notes “community,” which, rather like pokemon, made me think that if I started, I would have to “catch them all.” Field Notes releases a special edition every quarter (fall, spring, summer, and winter) and each special edition is limited so that once they’re gone, they’re gone. In Spring of 2015, Field Notes released their 26th special edition, Two Rivers, and it was finally something that I really felt attracted to. The covers are beautiful, hand printed by letterpress at The Hamilton Manufacturing Company in Wisconsin. I had just taken my Bibliographic Methods course at UNT where we studied letterpress and this edition just called to me. I finally gave in and put in an order. Once they arrived, I fell in love, but still couldn’t imagine using them. I used one to take notes in my meetings as a senator on the Graduate Student Council, but I just didn’t couldn’t get used to it. I’m not sure at what point I decided to try using Field Notes to take notes in class. I was incredibly reluctant because of how much I write and how small the notebooks are, but once I tried it, I loved it. Once I started using Field Notes, I became obsessed. I ordered copies of all the past editions that were available and quickly started collecting them like the nut I am (for an explanation of that, check out the Field Nuts page on Facebook). 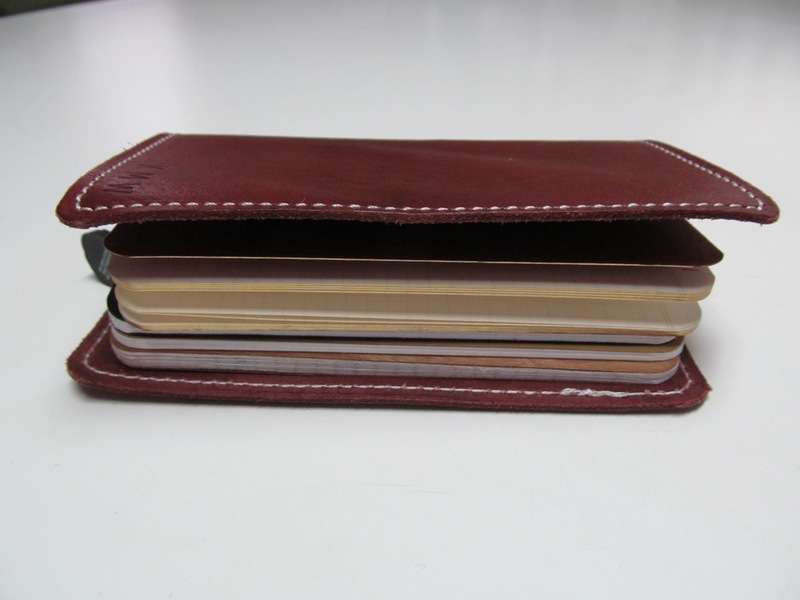 I have since subscribed to the colors editions (the quarterly special editions) and purchased two leather cases that hold multiple notebooks. I find that the small quality of the notebook is helpful as it keeps me scanning my notebooks regularly so that the information is easy to find. The covers are beautiful and the size doesn’t bother me—I actually like it. I’ve never liked full sized notebooks—I usually work with an A5 or so—but the size has actually helped me and I love the feeling of using up my books. 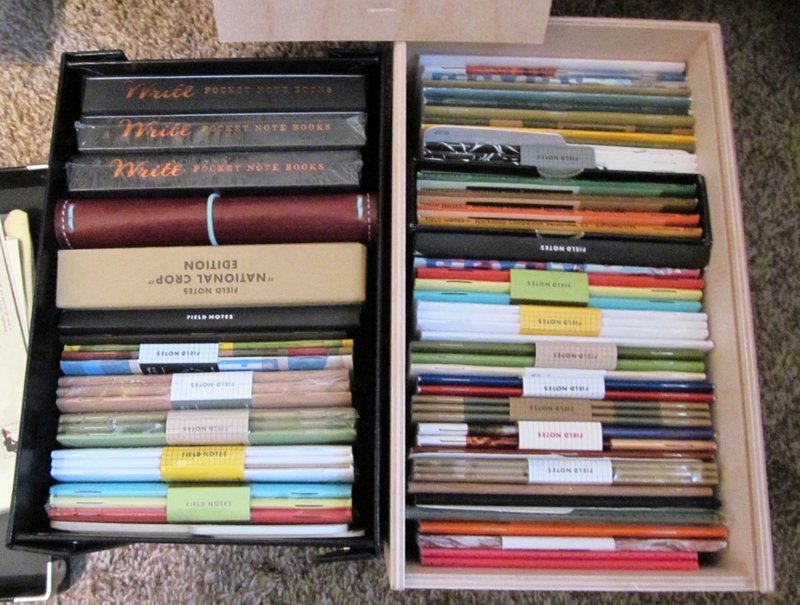 This is my collection right now, minus the larger Field Notes editions that I keep elsewhere. Kindly ignore the Write Notebooks and the other random pocket notebooks that live with my Field Notes--I'll write about those later. I now have two boxes full of Field Notes, several of which are already filled with my own writing. I have made a decision to use not collect, so even my super rare versions are being written in. I was so lucky to win a set of America The Beautiful, which are probably my favorite edition that Field Notes has made. My second favorite, The National Crop Edition, is the only set I have paid more than market price for. Within the community of Field Notes collectors, there’s a huge debate about whether you should be willing to pay collectors prices like the ones on ebay (it’s beyond ridiculous what some people will pay for a notebook), but I really wanted a copy of the National Crop edition because of my love for farming. I managed to get my set (opened, but completely new) for a great price from a kind woman on the field nuts group. I haven’t used them yet, but I plan to. They’re meant to be used. My rainbow of used Field Notes. Above: In my notebooks, I always use the first page for a Table of Contents. That way, when I scan them in, I can always look at the TOC/Index to see if I'm in the right document. The benefit of scanning notebooks as a PhD student is that no matter what, I always have access to my notes. I'm not planning on recycling my notebooks or anything like that--it just gives me the ability to see what I've written. Right: You can see that I use the pages comfortably while taking notes for class. I could not use my Field Notes as frequently if I didn’t have the leather covers I use. My first leather cover was purchased last fall (I think in October?) from the Foxy Fix (FoxyDori on Etsy). 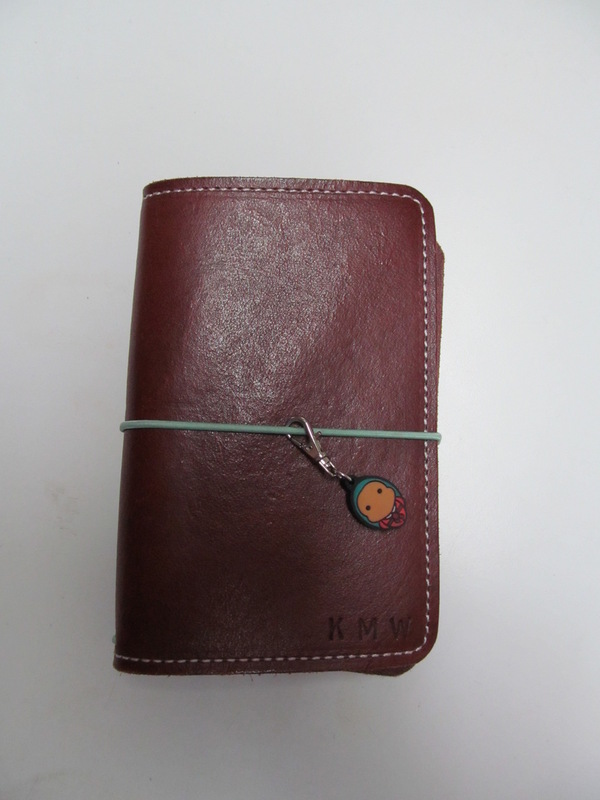 This little cover was custom made with a deep red-brown dye and white stitching along the side and a mint green band around it. 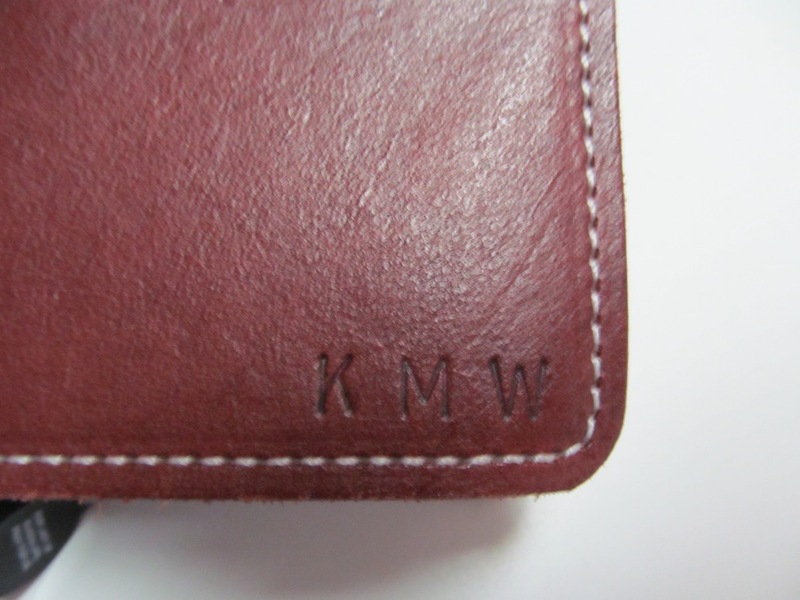 It has KMW embossed in the leather—making it totally and completely mine! 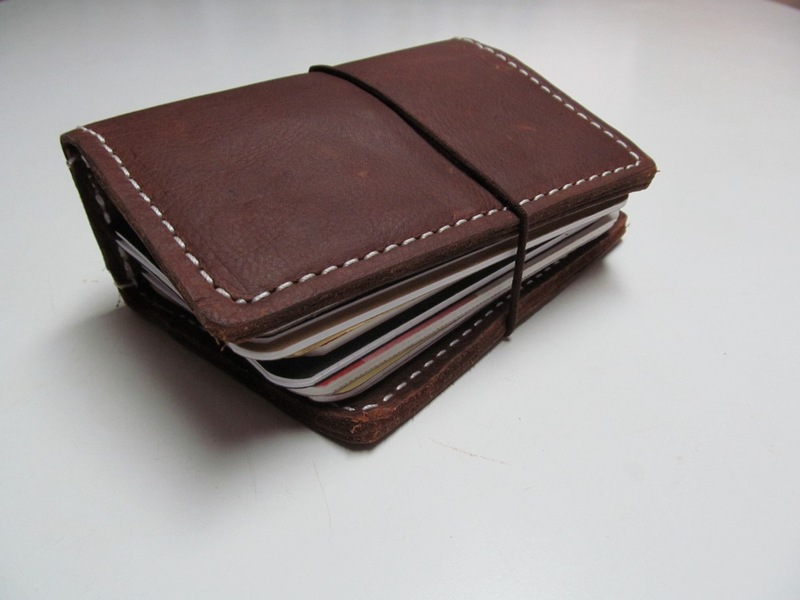 It very lovingly holds three field notes and could probably hold more if I wanted to add bands in. I used it religiously until I bought myself a new cover for my birthday. The reason for buying the new cover was so that I could have more field notes with me at once. I thought about carrying two covers until I found the Chunky Traveler’s Notebooks from Speckled Fawns. 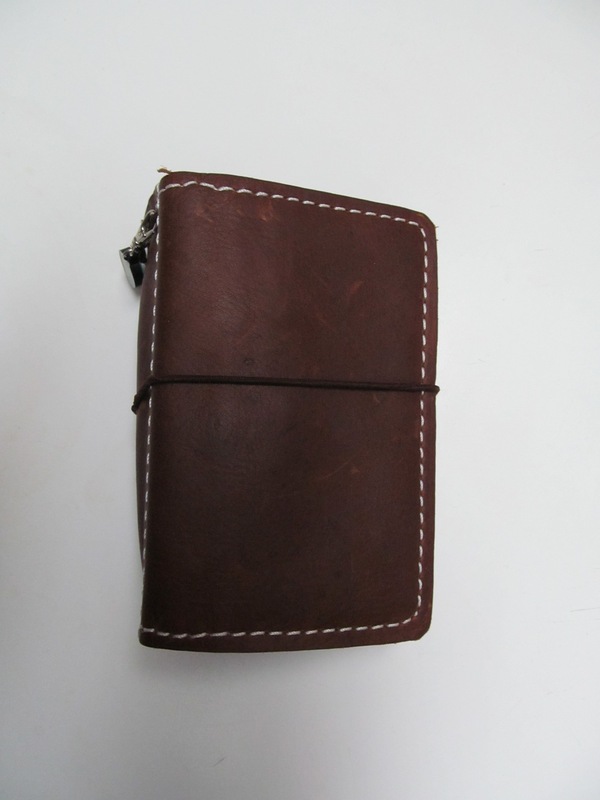 (Sidebar: For those of you who don’t know, a Traveler’s Notebook is a leather cover that holds multiple notebooks. This is a popular stationery item and its original manufacture is generally attributed to the Midori Traveler’s Notebook company.) Anyways, I bought this gorgeous hunk of leather from the Speckled Fawns shop on Etsy and am madly in love. Sadly, my FoxyDori is hanging out in my Field Notes box for now, but I’m sure I’ll find a use for it soon. My Chunky TN from Speckled Fawns is the Kodiak version in rustic brown leather and has white stitching along the edges. It holds 8 notebooks and could probably hold more if there were more elastics (I currently have two notebooks in one of the elastics, so I’m carrying nine). One definite bonus about this version is that it has pockets, both on the inside and outside, so I don’t lose the random slips of paper I inevitably end up with. I carry it with me everywhere. Everyone always compliments it and rightfully so—it’s a beautiful piece of craftsmanship and incredibly practical. My prized "National Crop" edition with my hardworking Workshop Companion set. The Pros and Cons of Field Notes: Admittedly, this is a dangerous thing to talk about with the HUGE following these notebooks have, so note that these Pros and Cons are mine alone. The size is a little small, but I've come to love it. In closing: I’m really loving these notebooks. I definitely recommend them. My current favorite to write in is the Workshop Companion, which is not yet sold out. The paper is SO heavy. I love it. I love the Arts and Sciences edition. Like a lot of nuts, I wish that would become a regular option. Also pictured is my Roastery Edition, a gift from my friend, Sam. That edition could only be bought at the Starbucks Roastery in Seattle. Sam kindly bought it for me and mailed it to me!